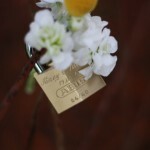 Old Forest School (wedding venue) has recently set up a Lovelock wall. 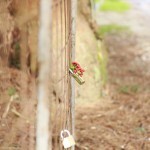 Couples getting married at Old Forest School can place an engraved padlock on the wall and then toss the key into the adjacent forest. Within the first couple of weeks of setting up the wall we’ve already had the first engraved padlocks added permanently to the wall. Look out for more photos as the padlocks get added.